Zig Ziglar, an inspiring motivational speaker, said that “We only expand by demand”, meaning if there is no pressure to change you will not change, you will not grow, you will not expand. That pressure can come in many different guises. It can be a health scare causing you to second-guess some of the things that you’re doing in your life. The pressure could come from somebody close to you who realises, often a long time before you do, that you need to change. It can come from something very simple. 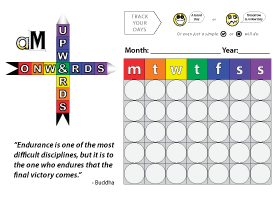 An innocuous event that means very little in the grand scheme of things, but belts you so hard in the gut that you have no choice but to take notice. My health was suffering before I stopped drinking, but I didn’t realise because alcohol caused health complaints happen over a long period of time… It’s hard to take notice. Unless you get a “no ifs and no buts” ultimatum laid on the line by your doctor, telling you of an immediate necessity to change, health-related problems can take a long time to show their faces. That’s just one of the challenges of changing yourself enough that you quit drinking and never go back to that lifestyle. There are many challenges, but if you are not challenged, you’re not changing. I hope you enjoy the video. Hi, I’m Kevin O’Hara for alcohol mastery dot com. 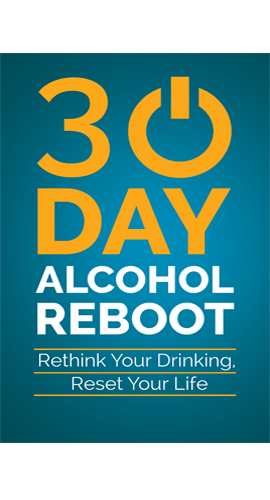 Today’s topic is The Challenge of Quitting Drinking Alcohol. 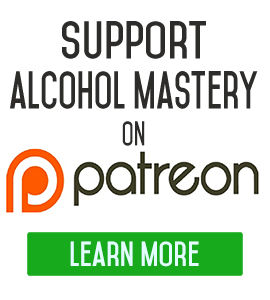 I think one of the reasons why most of us stick with drinking and continue to drink and allow the habit to get worse and worse is because we don’t want to challenge ourselves that much anymore. We live in a society which is quite happy to waste away hours and days and weeks and months and years sitting in front of the Go-go box, staring at other people living our fantasy lives, stories that aren’t even true. Because we find it’s easier to do that and to take a drink and get up in the morning and go to work and come home at night and do the same thing over and over again than it is to get up and challenge ourselves to do things in life and to make our lives better. If you want to make your life better, you’re going to have to challenge yourself. If you don’t challenge yourself, you’re not living. If something in life doesn’t challenge you, then you’re not really changing. Some change is just going to be foisted on you. It’s something that just happens. You get old and that’s just a part of life. Part of the world around you is going to change beyond you consent. You don’t want this certain part of your life to change, but it’s going to change nonetheless. People around you change whether you like the change or not, whether the change is mental or physical. Zig Ziglar, a famous motivational speaker, said we only expand by demand. So he meant by that that you only expand when you put your mind to it, when you get yourself out of your comfort zone, when you put yourself under pressure. I heard a great analogy about when a tree falls down in the forest, and the forest falls down and it’s covered up by earth and generations press, eons start pressing down on to the tree. Eventually the tree turns into coal, much more pressure is added unto the coal, and eventually the coal turns into a diamond, and it’s that diamond that they signify as being a life that you want to live, and the coal being the person you are now. So, in order to get out and become the person you want to become, you have to exert a lot of pressure on yourself to get there. 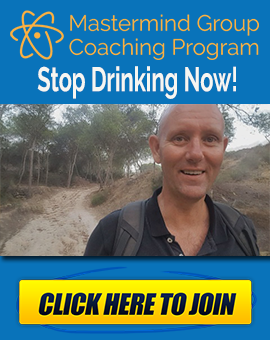 A lot of this change in behaviour is not going to happen just because you quit drinking . 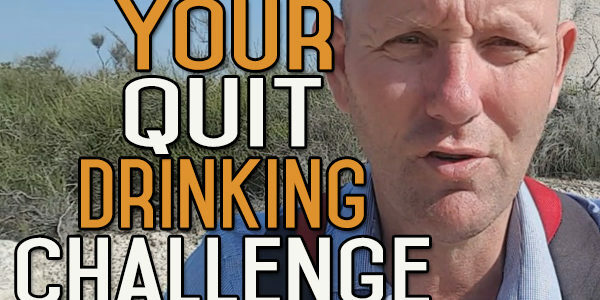 The challenge of quitting drinking is a challenge in and of itself. We’re so embedded into this drinking thinking, and the drinking thinking is so embedded into our culture that it’s very difficult for us to escape from that, because we’ve got a lot of pressure from the outside to remain who we are and do the things our culture does. That is a challenge in and of itself. It’s a challenge of actually stopping doing the alcohol drinking and pushing yourself into doing the other things into your life. Because that’s the challenge and pressure of pushing yourself forwards and weakening the ties to the alcohol. But at the end of the day, it’s the only way you’re going to get there. That’s a quick one today. Keep challenging yourself, it’s the only way you’re going to change.